Once upon a time, I used to think all cheeses were alike. See cheese on sale, buy cheese on sale. Eat cheese, enjoy cheese, yummy yummy in my tummy. As it turns out, eating and enjoying food isn’t quite that simple or that easy. Over time, I learned to read labels and pay attention to the ingredients that went into my body. Sure, I don’t always choose the healthiest options but I’m at least more mindful of what gets consumed. Then, one day, I discovered L’Ancetre cheese and I’ve been hooked ever since. 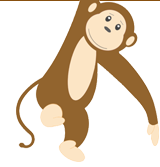 Recently, L’Ancetre has come out with even more options for us conscious consumers. 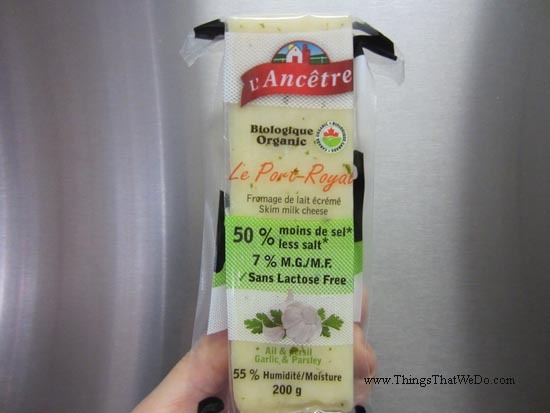 Check out their Le Port-Royal cheese, an organic cheese made with 50% less salt and a hit of garlic and parsley! Who needs chips when you’ve got Sensible Portions Chia and Quinoa Pita Crisps! This was a random buy. I was intrigued. 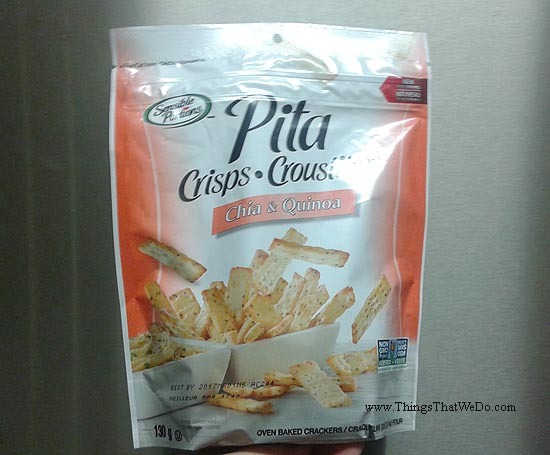 Pita crisps? Chia and quinoa? Hm…The Sensible Portions Chia and Quinoa Pita Crisps looked promising. Non GMO, quinoa and chia seeds, no cholesterol or trans fats, the Sensible Portions Chia and Quinoa Pita Crisps seemed like an ideal school snack alternative. Cut to the chase: so happy I discovered this product! 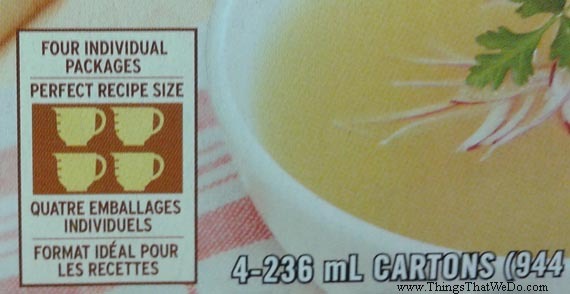 Chicken broth, cool? No way. 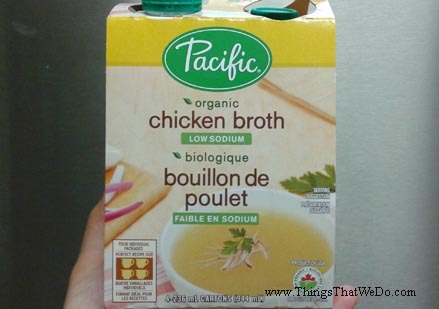 Well, if you’re Pacific Organic Low Sodium Chicken Broth, you’ve got a few reasons to feel cool. For one, it’s made with a decent list of ingredients and as if that wasn’t enough, this recent pack I picked up comes in 4 individually packaged portions each containing 236mL. 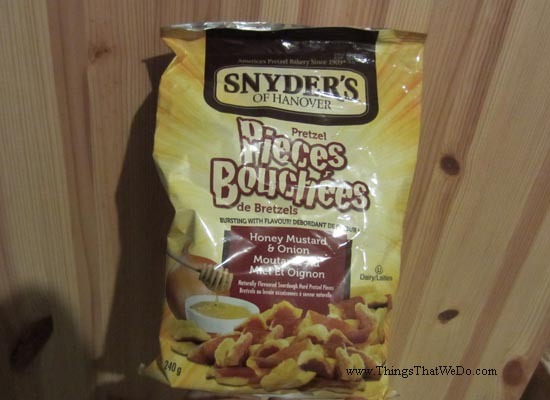 Who needs chips when you’ve got Snyder’s of Hanover Pretzel Pieces! Long title I know but it had to be said! My viewpoint, I know. 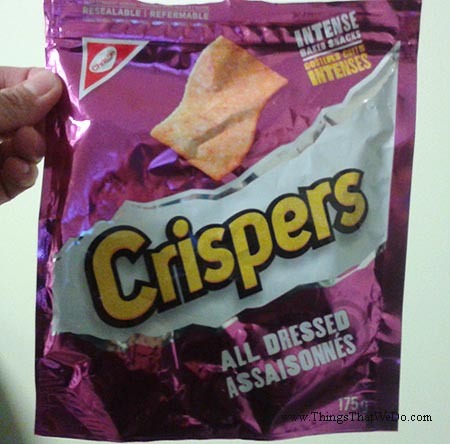 I used to love potato chips and, I’m not going to lie, I still munch on a few here and there. My love for potato chips however, just isn’t what it used to be. 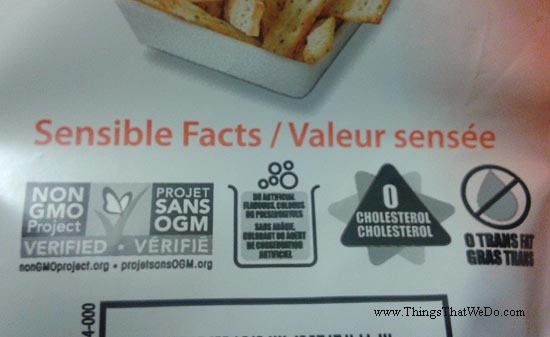 This is probably a good thing considering chips aren’t exactly a standup food group. In moderation, yes, fit chips into your lifestyle but I wouldn’t recommend eating a bag a day. 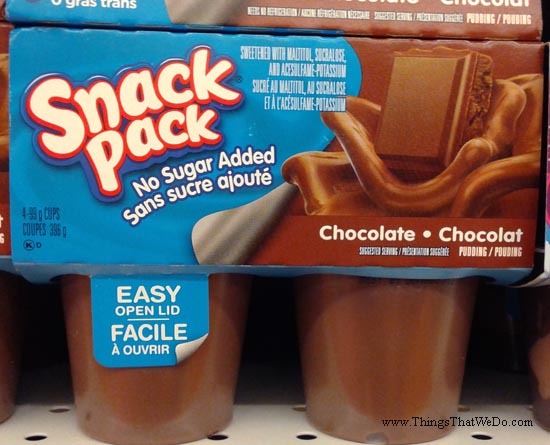 Not too long ago, I posted my experience of making my own chocolate pudding. I’d never done it before and I was surprised that it wasn’t as tough as I’d thought it would be. The best part, I knew exactly what I’d put in to the chocolate pudding. If I wanted to, I could modify the sugar amount and maybe in the future, I could even jazz it up a bit. I have no idea HOW I’d jazz it up. I haven’t figured that out yet but the point being, I’d have the option to do so. You get that kind of freedom when you make your own stuff. Sometimes, you just need a snack. Sometimes that snack thought bubble appears when you’re at work. Sometimes, your friends at work happen to have snacks that you’d like to try. No way! 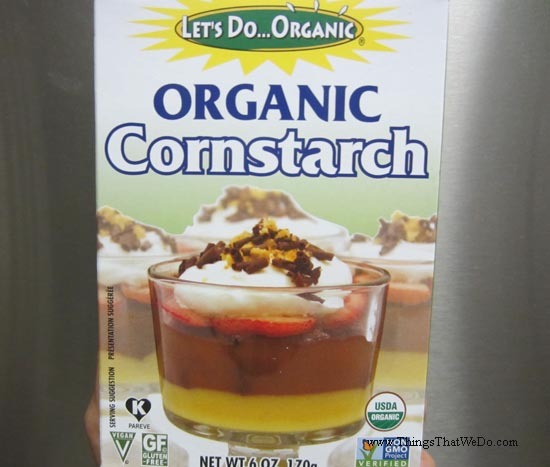 Let’s Do…Organic Cornstarch? AWESOME! I have moments when I’m convinced I must live under a rock. For the longest time I’ve wanted organic cornstarch to cook with but I didn’t want any old organic cornstarch. I wanted organic cornstarch that was also non GMO. Now, some people might say, ‘Really? Organic non GMO cornstarch? Do you not have anything better to do with your life than lament for organic non GMO cornstarch?’ and they’re right. I’ve got plenty of other things I could be doing with my life (including cleaning the home but you know, that’s a chore that never ends holiday season or not). At the same time, things get stuck in my head and I end up pondering about life’s little wonders like…organic non GMO cornstarch. 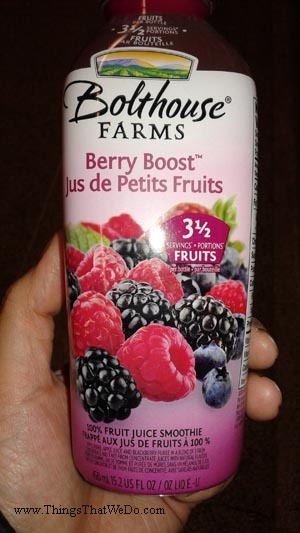 And then, I spot it at my local health food store. 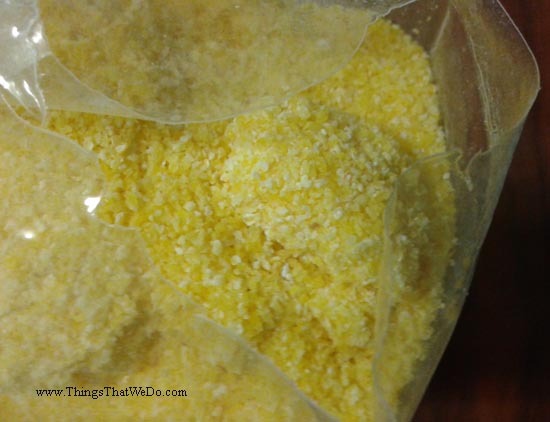 Let’s Do…Organic Cornstarch. There it sat unassuming as ever on the store shelf and I had to pick it up to take a better look. Truth be told, the folks are belVita are quite lucky I received this bag of Cocoa Breakfast Bites as a free sample because I guarantee you I would have never bought this myself at the grocery store. It’s simply not something I would be interested in buying. 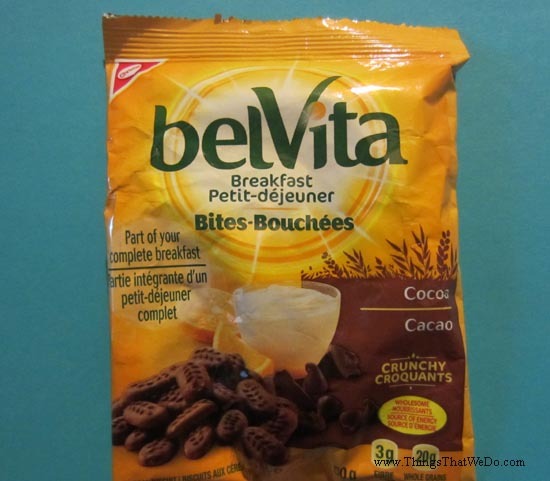 Question is: how are these belVita Cocoa Breakfast Bites?